Status: Located; Frank Behen son of Michael J and Elizabeth Stanton Behen. 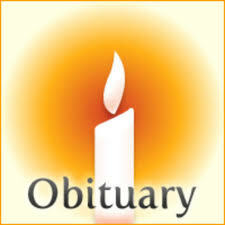 Status: Located; Obituary of Frank Behen, son of Michael and Libbie Behen. Taken from the "Daily Bulletin", Sunday, August 29, 1915, page 2, Bloomington, IL. Status: Located; Page two of Frank Behen's obituary. Status: Located; Thanks to Roger for the photo. Pictured are: Standing T. A. ELLIS, James M WOOD, Alfred COE, John DAVIDSON, Marion CAMPBELL. Sitting George STONE, A. T. TALLEY, Frank W. GATES, Joe COY, Sam GARST. Status: Located; Copy of the birth certificate for Helena Behen, daughter of Michael J. and Libbie Behen. Status: Located; Certificate of death for Helena Behen, daughter of Michael J. and Libbie Behen. Phoebe was the daughter of Ely Fitzjerrell and Tabitha Kelsay.